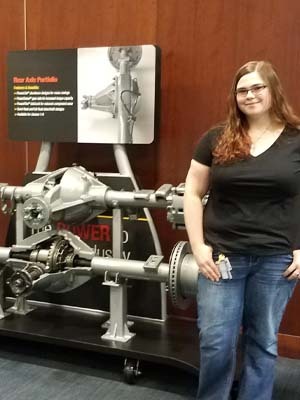 Mason Lewis jumped on a fast track to an engineering career while still in high school, and by the time the ambitious 20-year-old exits Wayne State University with a bachelor’s degree she will have accumulated more than five years of computer aided design (CAD) experience at American Axle and Manufacturing (AAM). Just five years ago, Lewis was a sophomore at Warren’s Cousino High School when she found out about the Early College of Macomb. The collaborative effort between the College and the Macomb Intermediate School District provides eligible students with a free, fast track to an associate degree. Acknowledging that she often felt bored in her high school classes, it was a pace much to Lewis’ liking. Lewis excelled in her product design and development classes at Macomb and became the youngest student to ever receive a scholarship from the American Society of Body Engineers Foundation, upon nomination of one of her professors, James Carlson. At AAM, Lewis updates and creates CAD models and drawings, and coordinates the transfer of data between the company and two of its major customers. AAM provides tuition assistance to its employees that, combined with her regular paycheck and a transfer scholarship from Wayne, means Lewis will graduate debt free. After she earns a bachelor’s degree, she intends to begin a master’s degree program in either business administration or engineering management. Between the new country and the new baby, Maria Daniel was suffering from a bout of separation anxiety after leaving her fulfilling career behind in Europe. When Macomb’s Workforce and Continuing Education Schedule of Classes arrived at her house a little over a year ago, its pages offered up the perfect prescription. 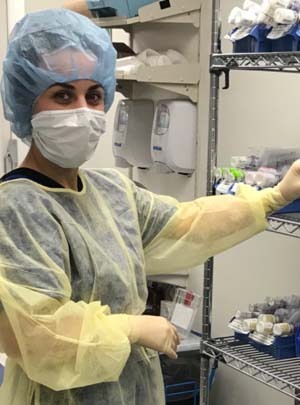 Enrolling in the Ambulatory Pharmacy Technician Program offered by Macomb’s Center for Health Careers was an easy decision to make. But since she had completed three years of post-secondary study as required in Denmark to be a pharmacy technician, she wondered if there was anything left to learn. Daniel completed her 100-hour externship, as required by the program, at McLaren Hospital in Mount Clemens. That led to full-time employment following her graduation from the program last summer. And the afternoon shift that she works at the hospital meshes perfectly with her husband’s, so either mom or dad are always home with two-year-old Isabella. In response to the growing need for hospital pharmacy technicians, Macomb is adding that as a specialty option to the program beginning this summer. 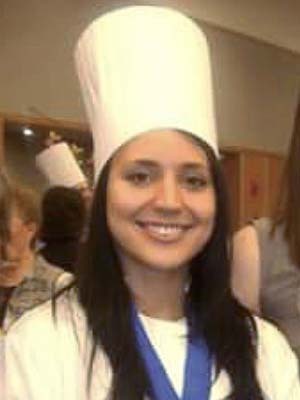 But her training from Macomb combined with her externship at McLaren allowed Daniel to bypass the two years of hospital pharmacy experience that would have otherwise been required. 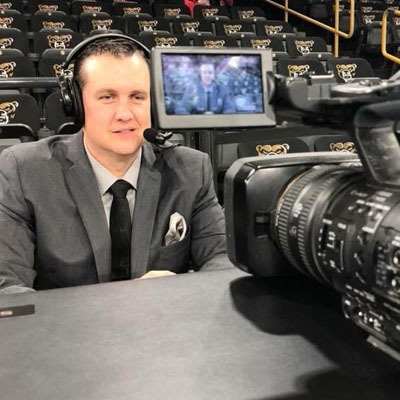 Neal Ruhl’s official title is Director of Broadcasting at Oakland University, but “Voice of the Golden Grizzlies” gives you a much more palpable feel for what he does. 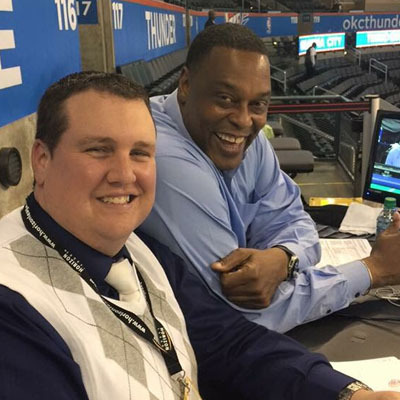 Ruhl delivers the thoughtful, high-energy play-by-play broadcast for Oakland’s men’s basketball games, as well as for the Detroit City FC soccer club, United Shore Professional Baseball League in Utica, and occasionally even as a fill-in for the Detroit Pistons. When the time came to transfer to Oakland – where he would finish his bachelor’s degree in journalism – Ruhl said Macomb made it easier than he could have imagined. Ruhl is as big an Oakland University supporter as anyone, given his current leadership role and the ranks he’s climbed there. But he’s similarly enthusiastic about the “perfect springboard” he found at Macomb. 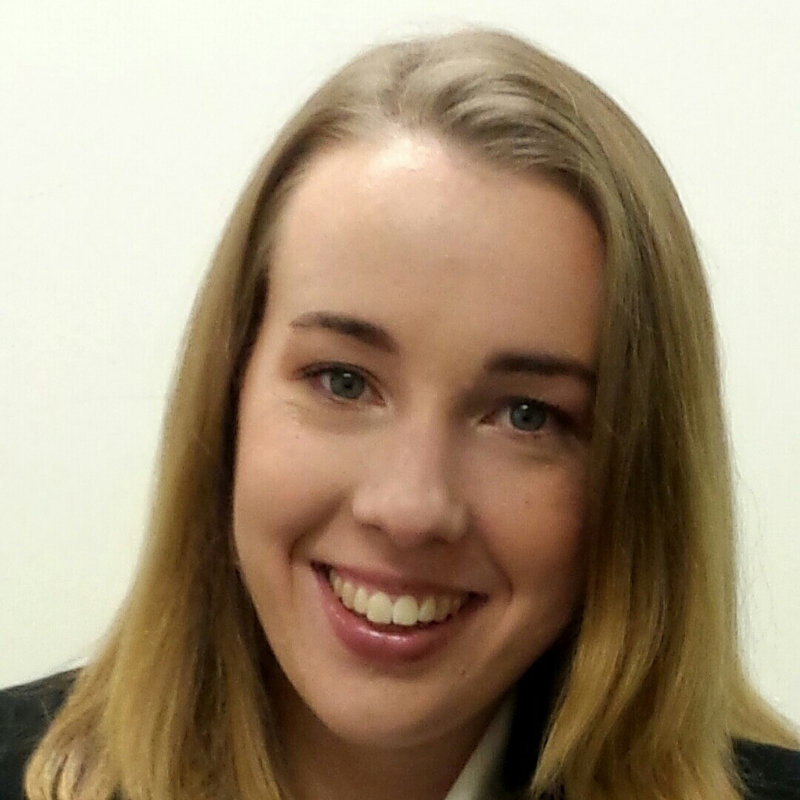 Even after getting her bachelor’s degree and finding her way in the workforce, Katie Feirer still uses the notes she took in her courses at Macomb Community College to guide her career. The Harrison Township native, who also got experience as a work-study in Macomb’s marketing department before transferring to Michigan State University and graduating with a degree in advertising, now runs her own social media agency, Burlap and Mason Consulting. Building her list of clients has been an extension of something Feirer learned at Macomb: Networking with people is critical. 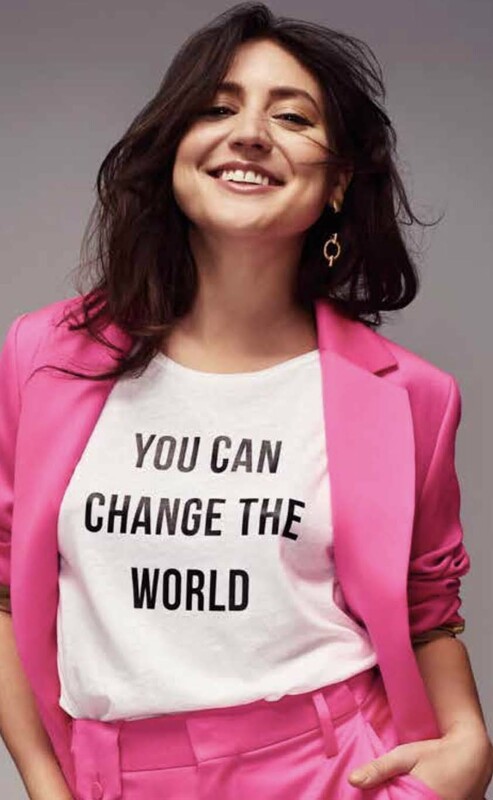 Her other advice: Get out of your comfort zone and get involved in extracurricular activities. Feirer was involved in several, including an adaptive sports club where she took part in hockey, tennis, hand cycling and kayaking. When other fellow education majors at Saginaw Valley State University confer with her on an assignment, Kaitlyn Farley shares the field work notes from her Introduction to Education course at Macomb. Farley enrolled at Macomb in eleventh grade as part of the Early College of Macomb program, which is offered in partnership with the Macomb Intermediate School District. She took as many of her general education courses as she could before transferring into Saginaw Valley as a junior. 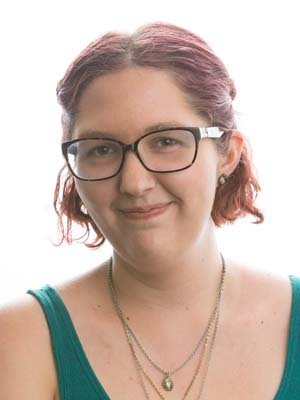 In addition to her studies at Saginaw, Farley is also the paid arts and entertainment editor for The Valley Vanguard, the student newspaper. In a recent column, she responded in print to a few professors who had questioned the quality of the education she had received at a community college and the transferability of the credits she had earned. And part of that connection was an extremely enjoyable “but definitely challenging” Western Civilization class at Macomb that prompted her to change her secondary education focus from English to history. Melissa Arant knew in high school that she wanted to work in an operating room, but she just didn’t see herself behind the scalpel. During her first year at Macomb, however, the Anchor Bay high school graduate made a timely discovery. Arant appreciated the detailed instruction and mentoring she received from Liz Ness, the program’s coordinator and lead faculty member. An internship at a hospital honed Arant’s skills even further. When she graduated in 2006, she was hired by Bon Secours (now Beaumont) Hospital in Grosse Pointe. A surgical technologist is a scrubbed, gowned and gloved member of the surgical team, responsible for sterilizing, arranging and handing surgical instruments to the surgeon. Arant enjoyed the diversity and pace of the job, but after a few years began thinking about the next career move. That’s when she returned to Macomb to earn her nursing degree. The work, Arant says, “is never boring.” And it’s rewarding to know that her attention to detail makes the operating room safe and efficient for both surgeons and patients. Arant’s weekly schedule of three 12-hour shifts complements her husband Jeremy’s as a radiographer, so either mom or dad is home with daughters Lila, 5, and Ava, 2. 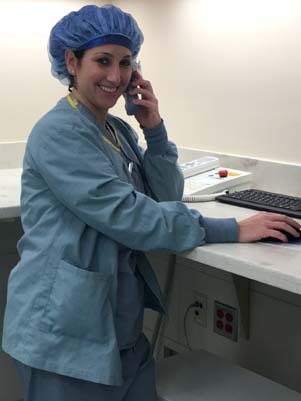 And although she has a full-time job and a young family, Arant continues to look for opportunities to advance, recently adding Certified Operating Room Nurse to her credentials.